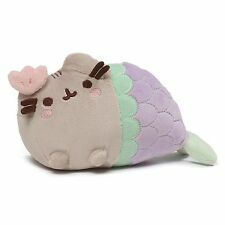 Gund - Pusheen Mermaid Clam Shell - 7"
Baby Gund - My First Teddy - Cream - 10"
Gund - Sesame Street - Snufflepagus - 16"
GUND ITTY BITTY BOO #038 MERMAID BOO POMERANIAN DOG BRAND NEW CUTE! Gund Brown Bay Bear with Sweater. There are 2 bears both with tags however one of the tags half of it was ripped off. 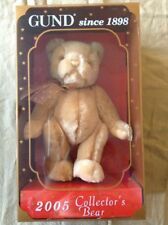 1987 Vintage fully jointed Bialosky Bear by Gund in very good condition, some wear on leatherette paws and nose as shown in pictures. Smoke free home. Beautiful little fella. Made by Gund tush tag is attached dated 1982 head to toe he measures approx. 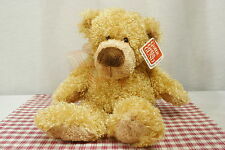 Don't forget to have a look around my store for more gund toys. A plush. Named. It is being sold in very good used condition. Top Rated SellerBrand: GUNDSize: 9in. Gund Kraft Peanut Butter Bear Plush Green Bow tie Stuffed Animal Teddy Bear 10"
Top Rated SellerBrand: GUNDSize: 15in. Top Rated SellerBrand: GUNDSize: 7in. Gund tush tag is attached. A plush with beanies in belly. Dated 1980 he measures 7" from nose tip to bottom. Please Read :Payment:I accept Paypal only and payments are due within 3 days after winning the bid. ✔ 10" Gund Nursery Time Lena Lamb Excellent Condition! Top Rated SellerBrand: GUNDSize: 5in. Gold colored Gund Plastic swing, &tush tags are attached dated 1988 made in Korea. Land Before Time Dinosaur. International Bidders : I have listed Air & Ground shipping. Made by Gund. A plush with beans in bottom. Paper Swing( has creasing see photo) & tush tags are attached he measures 9" tall. Please Read :Payment: I accept Paypal only and payments are due within 3 days after winning the bid. Vintage 1982 GUND Teddy Bear Dark Brown Plush Stuffed Animal 13"
Disney Winnie the Pooh Musical Plush Crib Toy Pull String "Twinkle Little Star"
NWT GUND Gunder Bear - Collectors Classic Collection awesome bear! 19"
Adolph Gund founded the Gund Manufacturing Company in 1898, at first producing toys and other novelties; however, the company soon began producing stuffed soft products by the means of patents for mechanized stuffed toys. Over the years, Gund has produced barking dogs, ride-ons, teddy bears, dolls with war bond themes, cartoon licensed plush animals, Ugly Dolls, and Grumpy Cats. What are some of the types of Gund stuffed products? The company makes many types of plush animals. Some of the brand's products are soft, stuffed toys with no music or animation, but the brand also offers plush toys with animation, speech, and music as well as blankets, dolls, and baby rattles. 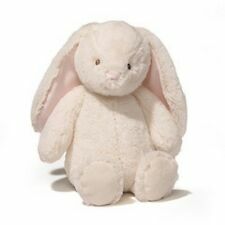 Soft plush: Gund's plush products include teddy bears, bunnies, dogs, polar bears, and many other stuffed types. Animated plush: Animated plush offerings include soft toys that move, sing, or recite. Musical: Musical items offer soothing melodies. Rattles: These toys are designed to be amusing. Jumbo plush: These oversized plush animals range in size from 20 to 34 inches. Characters: Gund has had many licensing agreements over the years to produce Disney, Ugly, Sesame Street, Beatrix Potter, and Pusheen characters. Holiday: Holiday celebrations can be commemorated with these holiday bears. 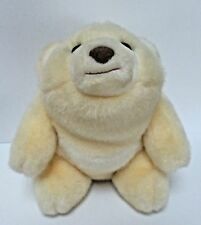 What are some of Gunds stuffed plush items? Gund has produced many soft products since the company first began, initially with animated merchandise. Ride-on duck: The ride-on duck was one of the first products at the company to incorporate its patented mechanism for movement. Barking dog: The barking dog was made with one of the patents in the early 1900s. Pull dogs: All types of toys were mechanized and also rolled on wheels due to patents from Gund in the early 1900s. War bond dolls: During World War II, the company produced war bond dolls in order to promote the purchase of bonds to finance the war efforts. Panda bears: Ling-Ling and Hsing-Hsing were two pandas given to the United States in 1972, and the company commemorated this event with the production of these soft bears. Teddy bears: Some of the first teddy bears were produced by Gund. Cartoon characters: Licensing agreements between Disney and Gund promoted the production of famous Disney characters. Grumpy Cat: Grumpy cat is a part of the company's product line. 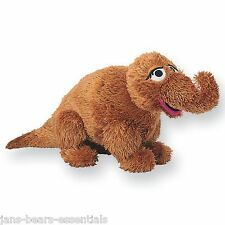 Snuffles: Snuffles was first produced in 1981. What are some Gund collectibles? There are many Gund plush animals that hail from both the early days of the company and from more contemporary collections. The Signature Series signed by Rita Raiffe, Muttsy, Snuffles, Canterbury Bears, Cubbi, Gotta Get a Gund Bear, Winnie the Pooh 75th anniversary edition, Gund Mohair, and Barton's Creek are all collectibles. Content provided for informational purposes only. eBay is not affiliated with or endorsed by Gund.